Technology advancement has both an upside and a downside – while it makes life easier on one side it can also be a cause of unwarranted trouble. Today, technology has equipped miscreants with the tools and the knowledge necessary to exploit security loopholes and trespass into offices, break into homes, steal vehicles and more. Fortunately, the security industry is one step ahead! If you’re concerned about your home/office/ vehicle not being safe enough, then you ought to consider opting for high-security locks. Safe Key Locksmith Service specializes in installing high-security locks and has secured countless homes and commercial setups in Miami, FL area. Unless and until you have a robust security setup in place, one can never predict the onset of an oncoming catastrophe. Your precious possessions might get stolen; confidential business information may get leaked out and sold off to competitors, or it may even bring physical harm to you, your family or your employees. To ensure that your premises remain as secure as a fortress, high-security locks are essential and that’s where our security experts can help you! Safe Key Locksmith Service’s team of experts hold years of industry experience and stay updated with modern industry trends. This enables them with the requisite know-how to assess your property and detect any security flaws. 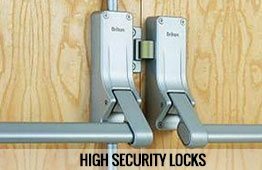 Once this is done, our experts will suggest appropriate high-security locks that can ramp up the security level and provide 24/7 protection to your property. Security requirements vary depending on the size of the premises, the value of the assets held within and the purpose. Homes may not require a multilayered security setup the way businesses do. 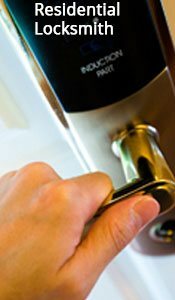 In order to get the right lock installed, you need to leave it to the experts at Safe Key Locksmith Service. Once the property is assessed, our professional locksmiths will devise an appropriate strategy based on your needs and budget. Need a high-security lock ? If you’re in Miami, FL, get in touch with Safe Key Locksmith Service today!